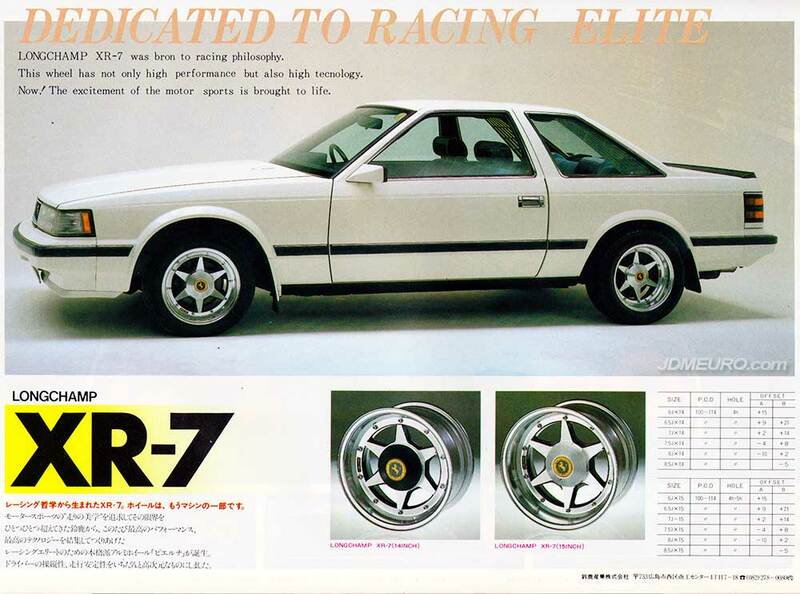 The Suzuka Sangyo LONGCHAMP XR-7 jdm wheels are the less popular brother to the Suzuka Sangyo LONGCHAMP XR-4. The main difference of the Suzuka Sangyo LONGCHAMP XR-7 to the LONGCHAMP XR-4 are the awkward looking center caps, also it sees the spokes have a different profile. Construction is SSR Wheels 3 piece welded sandwich mount face as shared with the LONGCHAMP XR-4. Pictured are the Suzuka Sangyo LONGCHAMP XR-7 mounted on a Z10 Toyota Soarer.